In 2007 Toyota stopped making Landcruiser Wagons capable of carrying more than 5 persons with a Solid Front Axle. The Hilux stopped having Solid Front Axles in the late 1990’s. Many other manufacturers have since moved to Independent Front Suspension (IFS). 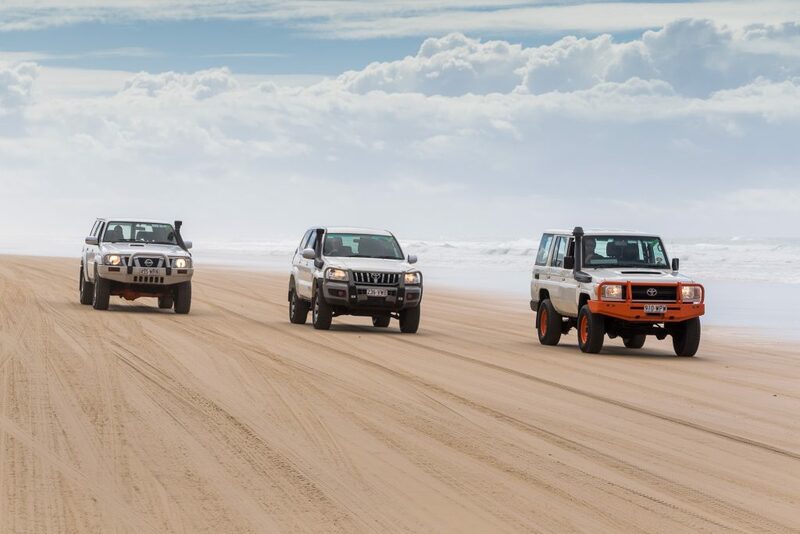 Our Fraser Island 4WD Hire company, Aussie Trax 4×4 Rentals, was faced with the dilemma of not having ready access to new vehicles capable of facing the rigors of constant off road use, simply because all the newer vehicles have IFS. We received industry feedback and from our own workshop repair business, that people who purchased these vehicles with IFS were happy with them on the road, but if you need to use them off road for the good part of their life, they share the complete disappointment with these vehicle’s off road capabilities. In particular and most popular and available are the Toyota 100 & 200 Series Landcruisers as well as the Hilux, are the most popular and capable in the market. Knowing the need for this specific type of vehicle for committed off roaders, Aussie Trax searched worldwide for a Solid Front Axle conversion to fit and replace the IFS of these Toyota’s. There are companies that can manufacture this conversion for $11,000 to $12,000 AUD. And their conversions were really only for extreme off road use. From our own experience at Aussie Trax, front suspension repairs to an IFS are nearly three times that of a Solid Front Axle for the equivalent usage. After 20 years of maintaining and repairing 4WDs for use on Fraser island, knowing the demand for this product, Aussie Trax believes it has created the perfect solution for Solid Front Axle conversions.